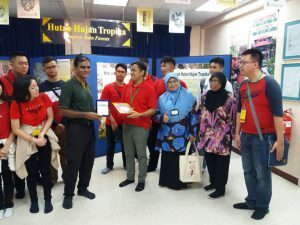 The school’s secondary department went on a fun, yet informative field trip to different universities across Singapore and Malaysia last March 13-16, 2019. 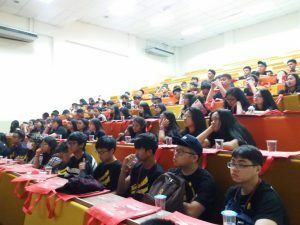 The Kallistans went to prestigious universities such as ERC Institute in Singapore, University Malaya and Taylor’s University in Malaysia, where guided tours around the universities were arranged for them to be able to have options on which college they want to attend to. During the tour, students also learned about the different programs being offered, the facilities, how the universities may be able to help them plan for their future, and also the countries’ cultures. 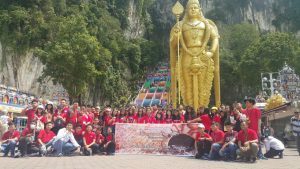 Kallistans were given a break from digesting all information and were given the time to relax by going to fun and informative tourist sites such as UK Farm Agro Resort, Batu Cave, Colmar Tropicale, Jalan Petaling, Petronas Towers, Maritime Museum, Melaka Sultanate Museum, and Tanjung Piai. The said trip was organized by the school’s Director of Student Activities and Services, Mr. Rodrigo S. Mendoza Jr. Also there in the trip was the Secondary School Principal, Mr. Yansen Yonatan, and their classroom teachers and advisers – Ms. Lennie L. Jacinto, PhD., Ms. Rhea Anabe-Dente, Mr. Williyandi, and Mr. Lareza.